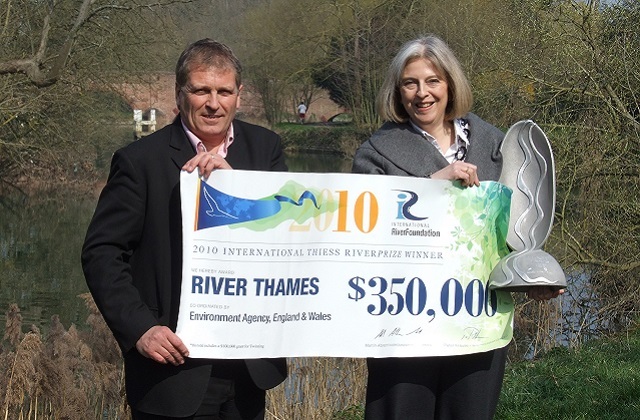 I can’t believe it’s 20 years since the creation of the Environment Agency! So what was it like to evolve from the National Rivers Authority (NRA) into the EA? Bringing a multitude of waste regulation, air quality and nuclear specialists under the same roof as river managers and “nature lovers” was never going to be without its challenges. Having said that, I think we’ve got much to be proud of. Of course, there is still more to do but I know that the way we aim to manage our rivers and their catchments is the envy of the world. So what changes have I seen as a biodiversity specialist? I think the biggest change has happened very quickly in the last few years, and that is the sudden widespread acceptance that we have to work with natural processes if we are to achieve our ultimate goals of protecting and improving the environment and promoting sustainable development. Whereas back in the mid-90s, I and my conservation colleagues were focused on promoting nature conservation for nature’s sake, now we are focussing much more on the value of managing and restoring catchments for the benefit of people, knowing that if we do the right things in the right places, by working with nature rather than against it, then biodiversity will automatically benefit. Of course this will not be the case in every single instance, but I believe that it is the only realistic, affordable and sustainable way to stop the decline in biodiversity. Yes, we need special sites for rare, threatened and sensitive species and habitats, but we have a great network of those already and on their own they are simply not enough – they are merely fragile, vulnerable oases of “wonderfulness”, surrounded by landscapes lacking in natural architectural resilience. Working with natural processes to help deliver sustainable farming, reduced flood risk, sustainable developments and clean water for all, can and will restore the resilient and healthy hinterland and connectivity to allow this currently isolated biodiversity to flourish and spread. OK that’s enough of the soapbox stuff! So what does this mean in terms of what the Environment Agency does on the ground in 2016 compared with 1996? 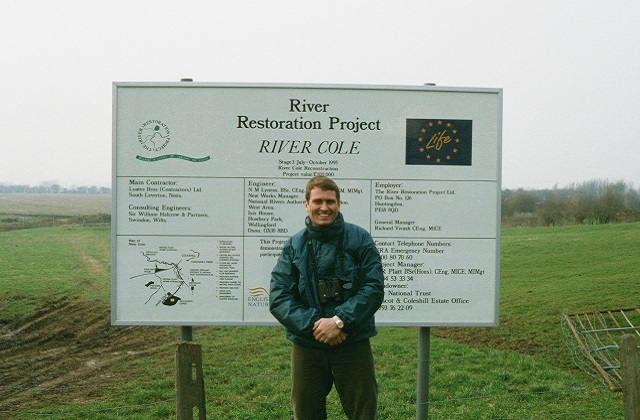 Back then I was Regional Conservation Manager for the Thames region and I remember setting up many projects which I am still very proud of - including the creation of the Otmoor RSPB reserve, the restoration of Rye Meads reedbeds in Hoddesdon and the River Cole restoration project near Swindon. However these were mainly promoted as nature conservation projects, whereas they are in fact so much more than that. They provided increased flood storage, water quality improvements, carbon storage, improved access and recreation opportunities, health and wellbeing benefits etc – oh and yes of course - they all improved biodiversity hugely. More recently our approach to biodiversity in the Environment Agency has changed. We now think much more laterally and focus our attentions on the big environmental priorities – namely flood risk management and river basin planning – and think about how those objectives might be achieved, whilst also enhancing biodiversity. Incidentally, this remains one of our important but largely unsung legal duties to this day – something I am personally very proud of because in 1995, I made the case along with the RSPB CEO at the time - Barbara Young – which persuaded the Secretary of State, John Gummer, to retain that duty for the new Agency. So now we have a new way of looking at catchment management, and I genuinely believe we are now in a position to make significant progress in this area, not least because, unlike a few years ago, we now have plenty of compelling evidence which confirms that working with natural processes genuinely does deliver flood peak reduction, improves river water quality, stores carbon, etc. On top of that we have an increasingly well-informed stakeholder community who not only understand, but are actively promoting the principles of sustainable catchment management. And we have a growing wealth of technical expertise, commitment and determination in-house to enable these sustainable solutions to be integrated strategically into future programmes and projects. One of the great pleasures of my job is travelling around the country visiting Agency projects (although it has to be said that I haven’t been able to keep up with Sir James lately!) and I know we are delivering truly world class improvements out there. 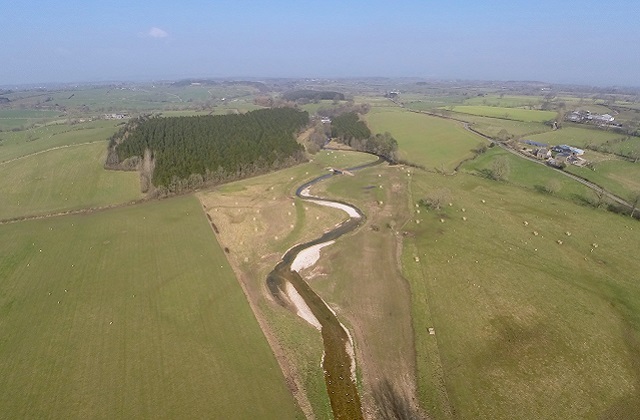 From the Great Fen creation to the Exmoor Mires restoration, from Moors for the Future to the Steart managed realignment and from Cumbrian river restoration to the River Wandle in London, the Environment Agency and its partners are doing really great things. So here we are - 20 years old and really starting to mature. We’ve been through a few hormonal changes but we’ve grown up and I reckon we’ve got a very bright future ahead of us – a future in which we can take integrated catchment management to another level and prove once and for all that we truly are the Champions of the Environment. Imiepssrve brain power at work! Great answer!